Tech Cruch is reporting that Electronic Arts is about to acquire casual games giant Popcap Games for a cool $1 billion, which would exceed EA’s market cap by over 13%. If true, this would be EA’s definitive entry into the casual games market, a field they broke into 7 years ago. Despite consuming a significant chunk of EA’s reserves. 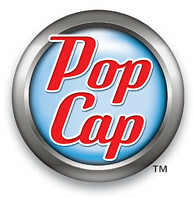 buying Popcap would bring them IPs such as Bejeweled, Plants Vs. Zombies, Peggle, Zuma and Bookworm. We’ll keep an eye on this deal as it happens.